Phoenix trained black and red German Shepherd for sale - ZAUBERBERG! 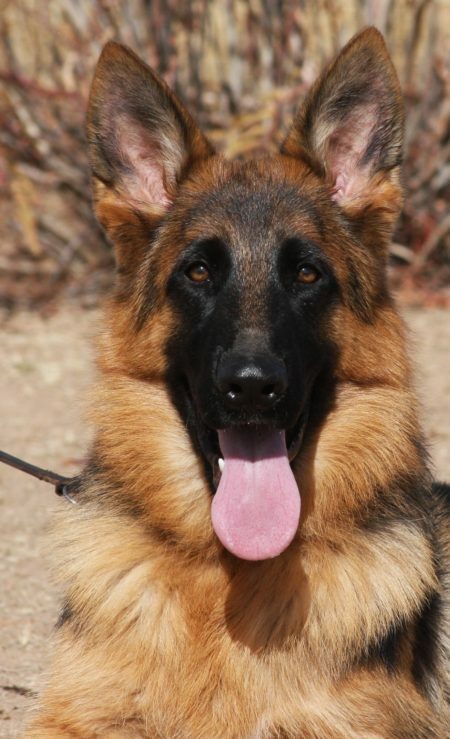 Phoenix trained black and red German Shepherd for sale is a super black and red colored male. He has been trained originally in our puppy training program and is now going through the advanced obedience training. Absolutely stunning type and expression. Great activity level and temperament. Training Lessons included to make performance happening for the new owner. Interested in Phoenix vom Zauberberg?